Life Data has been in my life for as long as I can remember, at least 30+ years. I started using it on the recommendation of a friend who worked at a large dressage farm in New York state. I had a horse that had White Line issues and could not find anything that helped. I started using Farrier's Formula, I could watch the growth by the ring on his hoof as it grew. It took over a year, but he had a strong healthy hoof when it was all done. This is what really got me hooked on this product. Every new horse I have bought since that time has been given this wonderful supplement. 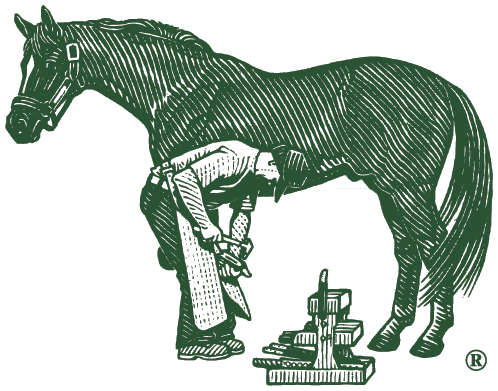 The strong hooves, fabulous hair coats and overall good health of my horses have been due to Farrier's Formula and good quality feed and hay. Proper ratios of amino acids are a key factor to this product, without it you are just wasting your money. I just imported a gelding from the Netherlands and Farrier's Formula was waiting for him when he got to the barn. With all the stress of the travel and changes in feed/hay I wanted to give him the best possible start here is the US. My farrier has checked his feet out and asked if I had started him on it. My reply was “Oh, yes”. Tom is an advocate of your product as well and sees the benefits when his customers use it. I have recommended this product to so many people and will continue recommending it as long as Life Data Labs keeps making it. Please don’t stop!! !